Our revolutionary plain mustard gold tablecloths combine specially designed fibres with a unique soft touch finishing for a luxurious "cotton-soft" feel. Featuring a number of market leading features including unsurpassed colour retention, superb stain release & minimal shrinkage. There is a science to table linen. Our revolutionary plain mustard gold tablecloths combine specially designed fibres with a unique soft touch finishing for a luxurious "cotton-soft" feel. Our unique tablecloths offers unsurpassed colour retention, superb stain release, minimal shrinkage, excellent resistance to snags and outstanding absorbency. It`ll take more than a spilled glass of wine to spoil the occasion. Good quality and looks great on my table. Our Response Thank you for the 5 stars! Pleased with quality and colour Our Response Appreciate the 5 star rating! 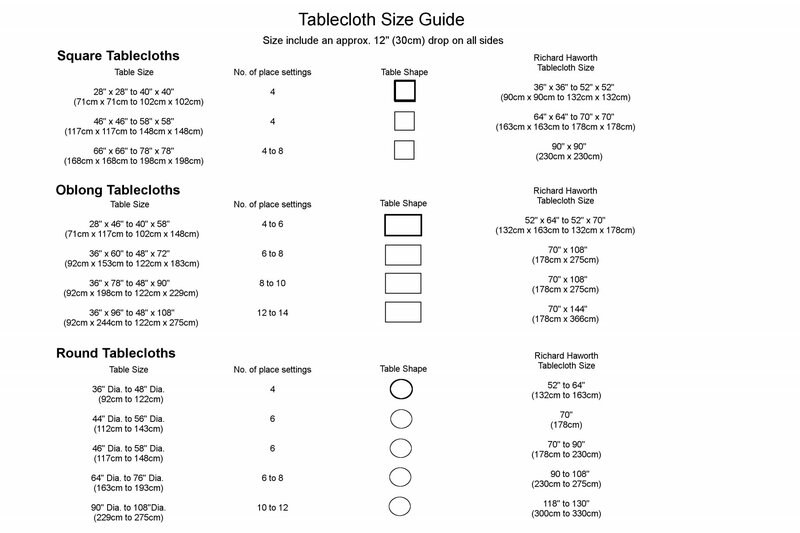 The tablecloths purchased were not cheap, but they are of excellent quality and so do represent value for money. There was a good range of colours from which to choose. I would certainly buy from this seller again.